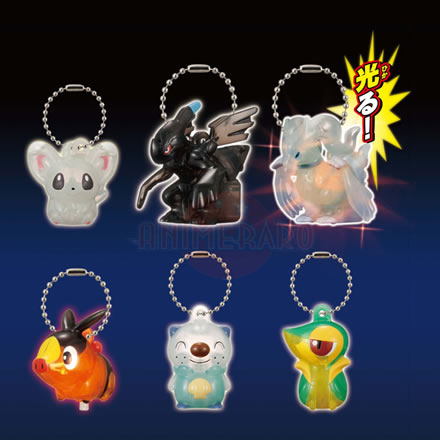 Contents: One Reshiram light up key chain. Figure is 2" inch tall, has an led light inside, and a ball chain is attached on top. LR41 batteries are included. Item is sealed in poly bag and packaged in plastic capsule.